We just released WPJobBoard 5.3.0 and you should soon see this update in your wp-admin panel. If you will not see it within 24 hours go to wp-admin / Dashboard / Updates panel and click the “Check Again” button it should show then. New WPJobBoard introduces one new, big feature, and few minor changes and updates. 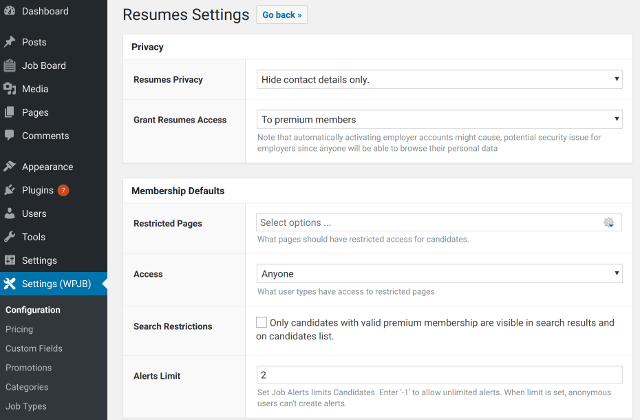 Our main goal in new WPJobBoard version was to provide you with an option to create Candidate Memberships system. The system works similarly to Employer Memberships, but allow you to add many features for Candidates who buy a membership. You can: make candidate without membership not visible in search results, block access to some pages for candidates without membership, make candidates with membership featured on the candidate list, or limit alert number for candidates. 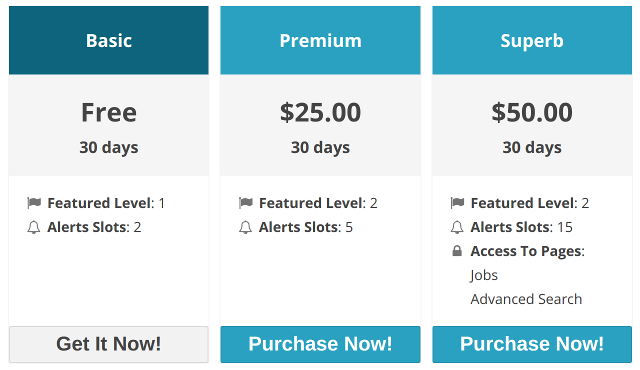 This also includes new pricing shortcode for memberships [wpjb_candidate_membership]. We received a lot of feedback regarding Stripe Recurring payments. There were some issues with creating new recurring payments that we fixed. You also asked us about the flexible interval for recurring payment. Payment interval is connected with membership recurrence time. So if your membership is valid for 47 days, Stripe will charge your user every 47 days. We updated the design and user interface for the [wpjb_candidate_panel] / Alerts panel. The new user interface should make adding new alerts easier and more intuitive. Print button in the [wpjb_employer_panel] / Applications list. Also, you can print multiplay applications from wp-admin. Note. The print is based on page design, so it might look different for different Themes. Great! This has been well anticipated update. Thanks for your hard work. After testing it on the dev site It’ll go live.